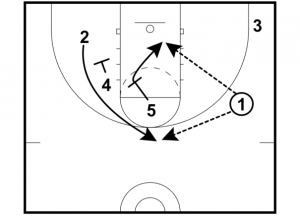 Look for a three coming off a double screen and heading toward the sideline in this quick-hitting play. 1 inbounds. 3 pops out slowly! 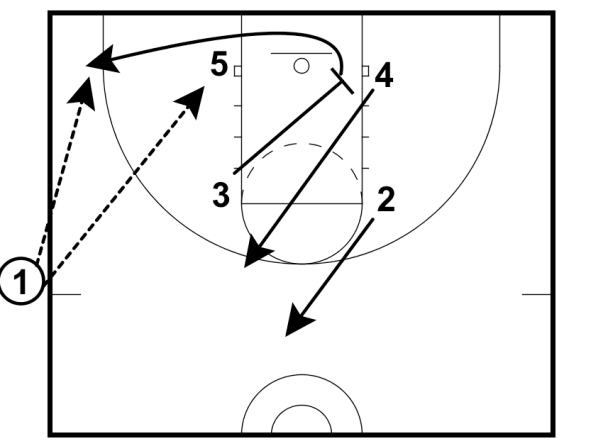 2 goes ball side wing. 5 flashes to the ball. 4 back screens for 3. 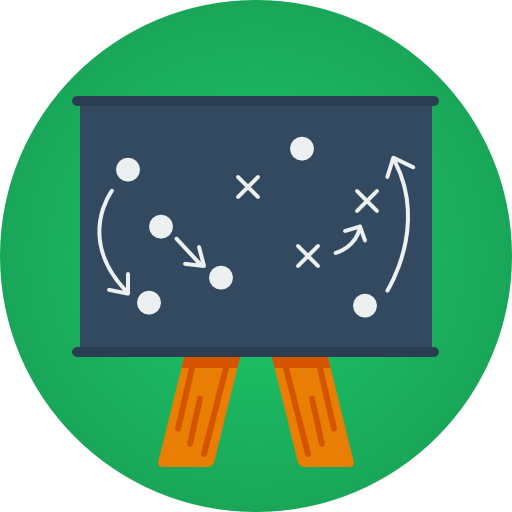 If 3 is not open for lay up, 1 inbounds to 4. 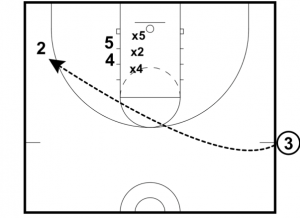 2 and 5 set a double base line screen for 3 who comes ball side corner. If 3 is not open 1 comes in for a handoff from 4. 2 goes through to balance the floor.